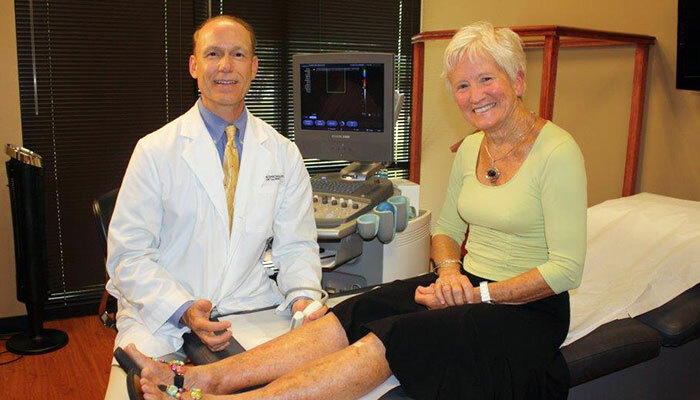 Vein Specialists of Illinois is the culmination of over 30 years of venous medical practice between Doctors Stephen Sorenson and Thomas Lutz. Their experience enables them to offer you a combination of knowledge, technology, and compassionate care to help you achieve wellness in your venous health. Vein Specialists of Illinois is a proudly independent, trusted, local medical practice committed to making sure you receive an individualized treatment plan tailored to meet your needs and lifestyle. Utilizing state-of-the-art equipment and the latest techniques, we specialize in minimally invasive procedures that will make a big difference in the way you look and feel without much disruption to your everyday demands. Celina Perlberg R.N., the Sclerotherapy Nurse and Practice Administrator for Vein Specialists of Illinois, has been an instrumental part of Dr. Sorenson’s clinical care team for the past 5 years, specializing in treating superficial spider veins. “I have worked with RH Medical Marketing for over 3 years as the practice manager for one of its clients. Rob and his staff have been instrumental in growing our practice from 1 to 2 thriving offices. The gains we have seen in referrals from digital and internet sources over the last several years have outpaced many other areas of marketing and advertising thanks to their diligence, expertise and hard work. I have found working with Rob and RH Medical to be an extremely rewarding experience. Rob is extremely communicative, responsive and proactive. He is always quick to respond to any concerns or suggestions that we might have and always responds to our questions with well researched, knowledgeable answers. He is always making suggestions for new ways to grow our business yet tailors those suggestions to the specifics of our budget. He and his team have shown a keen understanding of the uniqueness of our local competitive market and have been quick to adapt our strategies to maximize the impact of our marketing dollars within that market. Rob and his team work extremely well with other members of our in-house marketing team to ensure that our non-digital marketing efforts are promoted digitally and are part of an overall cohesive message. As RH Medical has acquired more clients and become busier, I have not experienced any drop-off in attention or quality of work from his team. In fact, they are always visibly trying to learn more about their field and use any new experiences or insights gained in other areas to help increase the effectiveness of their work with our practice. Celina graduated from Truman College Chicago with an A.S. degree in Nursing and before entering the field of phlebology worked as an emergency room nurse for five years. Celina prides herself on providing the highest level of care tailored to each patient’s individual needs and enjoys building lasting relationships with her patients. RH Medical Marketing specializes in Digital Marketing Services for Medical Professionals. Are you Interested in growing your practice? Contact us today with your questions, and be sure to order your Free Internet Marketing Assessment.